In the last few years, accessibility in video games has become a much bigger topic than ever before. From videos like Mark Brown’s Designing for Disability to articles on accessible game design, there’s now a huge focus on making sure games are playable by a much larger audience, including those with issues regarding their vision, hearing or motor functions. It’s an interesting change in the gaming landscape, and one that’s been appreciated by many people affected by said disabilities themselves, as well as advocates and people in various UX and design fields. However, it’s also one that’s recently stirred up a bit of controversy too. That’s because in addition to the traditional adjustments added to let players customise their experience, there have also been a growing number of people arguing that core aspects of a game’s design should be changed to be as inclusive as possible too, with some going as far as to say easy modes should be a standard thing across the board or that games should let players skip everything in order to ‘experience anything in any order’. This has in turn stirred up arguments about artistic intent, video game design and whether a game letting players disable certain elements is a good or bad thing across the board. However, here’s the thing. Despite all the controversy and accusations of ableism and personal attacks being thrown around, I believe adding features for accessibility isn’t contrary to a game’s artistic intent, and that accessibility and game design can co-exist just fine. And that’s because at the end of the day, accessibility isn’t about easy modes. It isn’t about being able to skip a whole game, or trivialise some piece of interactive entertainment. It’s about providing everyone the opportunity to enjoy the same games. To give them an equal chance of playing the games they enjoy, and to let skilled players win regardless of any physical differences they may have. It’s not adding Mellow Mode to Dark Souls or Cuphead, it’s about providing a way for those with disabilities to play the same games as others, with the same opportunities to complete them if they are skilled enough to do so. And I think the best way to explain that would be to look at how a game may be made to work for blind players. What would the best solution be to let visually impaired users enjoy more games? Well, in my eyes it’s quite simple; it’s to add audio cues that let them know what’s going on without having to keep guessing. You’d give enemies different sounds for their behaviours and attack patterns, have different music and environmental noises for areas, sounds for items and weapons being used, that sort of thing. Look at Ocarina of Time for example. You know exactly where you are in that game based purely on the music and sound effects played, and it’s enough for people to beat the entire game blindfolded. It’s an area Nintendo is pretty good in overall to be honest. Whether it’s Mario, Zelda, Pokemon, Metroid or any other series they make, virtually every area, enemy, character and item has their own associated music and sound effects. It basically means you can play through them with sound alone. Caption: Heck, different songs and theme variations can even tell you where you are within a level, like with Bowser’s Castle in Mario Odyssey here. That’s what accessibility is actually about. It’s not about making games ‘easier’, it’s about making them equally possible to enjoy regardless of a player’s physical conditions. Or in political terms, about equal opportunities rather than equal outcomes. And I think that’s really where the line is here. A feature that makes a game more accessible to others and lets them experience the game as intended is good. One that exists just to take the challenge out and reduce it to a passive piece of media isn’t. Making sure colour choices have another contrast and are understandable to those with colour blindness. Giving the player the option to remap the controls. This should really be a default feature on consoles by now, and it should certainly be possible to disable gimmick controls (like say, motion/gyro ones) for the sake of both traditional players and those with motor impairment issues. Providing options for both captions and voice acting, so those with vision problems and those with hearing ones can both easily understand what’s being said. Having decent UX design that makes key options easy to find. Something like Super Mario Odyssey’s file select screen is an abomination. 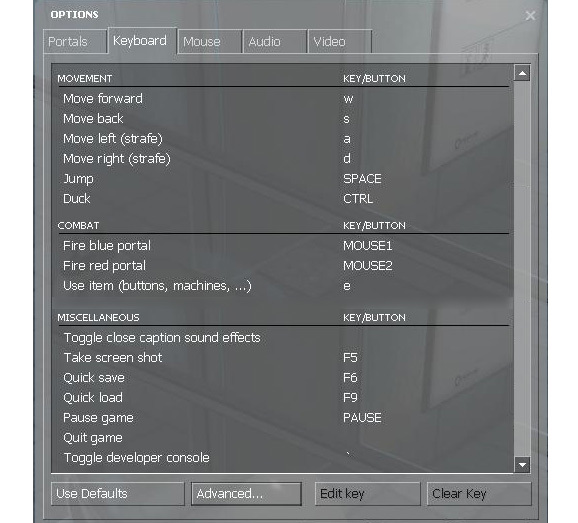 Including usable tutorials and control scheme guides in game, including for remapped controls. If someone doesn’t want motion controls, their tutorials shouldn’t reference them. They should also take remapped buttons into account for action explanations. Plus many other small tweaks. These aren’t huge game changing edits, these are features that make games playable by more people, and provide a better experience for players without disabilities too. They’re additions that make the game better without changing how it’s played or destroying the original point of the work. But that doesn’t mean the content changes too. If you can’t understand what we’re saying in an article, that’s on you. It’s up to us to make sure a blind person can experience the site with a screen reader, but it’s not up to us to provide an article so simple that someone raised by wolves fifteen thousand miles outside of civilisation with no exposure to the concept of a ‘video game’ knows who this Mario guy is. Caption: Though if you don’t, maybe this Mega64 video will help you out! Same goes for games. Yes, they should be made playable by everyone, but at the end of the day, they’re an interactive form of media. You’re not ‘owed’ access to the endgame or credits. You don’t have the ‘right’ to experience every little aspect of them without putting the work in. You have to work for it. If you don’t, the devs are under no obligation to give you an easy mode or skip button to save you the effort. Caption: Though glitches, mods, cheats, etc are all fair game. You own the game after all. So no, not all games need an easy mode or other convenience features, and the role of accessibility isn’t to make said features mandatory. Games are made for a specific audience in mind, and that’s perfectly fine. Whether that’s Cuphead/Dark Souls level hard or Yoshi’s Crafted World level easy. But it does mean players should be reasonably able to try the game in the first place, and that being disabled itself shouldn’t make a game impossible to finish. It should just provide a fair, if potentially different challenge like it would for anyone else.